By now, the merciful miracle of dermal fillers that reduce the signs of ageing is common knowledge. An added bonus of far deeper significance, both literally and in the figurative sense, is that dermal fillers can also function in a preventative way. This adds a whole new dimension to the process and also widens the target market, as many younger people naturally understand the benefits of prevention rather than cure. A filler that helps to slow the ageing of skin means far fewer expensive treatments later on in life. 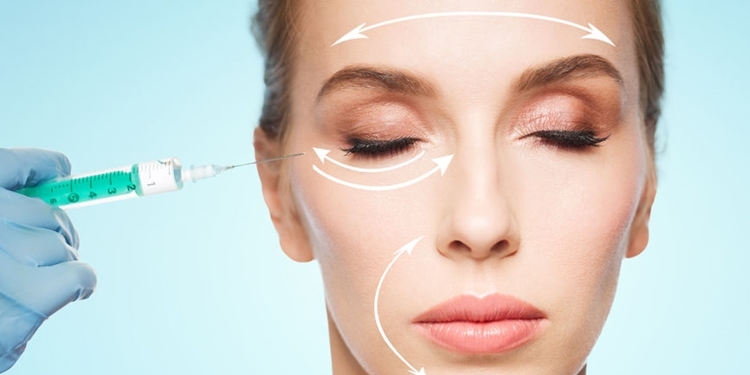 To understand the process, one has to familiarise oneself with the term ‘hyaluronic acid’. Although dermal fillers are derived from a number of different sources, the safe, popular ones, like Restylane, consist of this non-animal component. It brings no risk of allergic, inflammatory reactions. The molecules of hyaluronic acid bind to water in the skin. It is, therefore, a moisture-retaining acid that occurs naturally in the skin. As one gets older, the body slows down the production of collagen. Apart from its many other functions, collagen is essentially a space occupying substance between cells. Simply put, it is a protein providing the skin with strength, elasticity and plumpness. The cells that secrete collagen proteins are spindle-shaped fibroblasts; they are in the dermis, the layer of the skin below the outer one, the epidermis. The collagen they produce forms a web that gives the skin support and volume. With age comes the deterioration of collagen that causes the fibroblasts to rumple, prompting researchers to try to discover a way to stretch them again. They surmised this might stimulate the fibroblasts to resume with producing renewed supplies of collagen. These findings were published in a study in the Archives of Dermatology. Using Restylane because of its proven safety and the duration of results, researchers injected it into the arms of 11 otherwise healthy men and women whose skin had aged owing to sun damage. An examination of the skin samples after the required time lapse proved their hopes had been realized: the Restylane had filled out skin wrinkles while simultaneously stimulating collagen levels. The fact that the fibroblasts were now taut meant that they were also stimulating the necessary chemicals to prevent the breakdown of collagen. The researchers felt they had produced meaningful results. Another approved, non-animal-derived dermal filler is Juvederm. Products like Radiesse contain calcium hydroxylapatite, which also stimulates the body to generate its own collagen. Although a more gradual improvement is said to be produced by Sculptra, which also aids in building up the body’s collagen levels, the results obtained regarding restoring facial volume, are said to last longer. Before opting for any dermal filler, it is vital to consult a dermatologist who understands the science behind the sometimes exaggerated and confusing marketing claims. Avoid seemingly tempting Internet deals or steep discounts: your dermatologist will steer you clear of any products which can cause an injury to the skin.